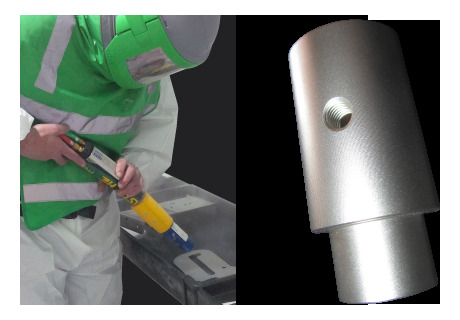 With our Specialised blast personnel we can achieve very high quality Pearl-Glo stainless steel finish repeatedly on machined surfaces or newly fabricated stainless steel products and components, or to rejuvenate old stainless surfaces. Glass bead blasting is the preferred method or surface finishing in the food & beverage manufacturing industries which is perfect for hygienic applications and requirements. MULTICOMPS Pearl-Glo finish has both aesthetic appeal and can enhance the surface properties and hygiene of stainless steel without change to dimensions or tolerances. Suitable for harsh outdoor environments. Combat stress cracks & fatigue on welded parts. Environmentally friendlier the chemical treatments. Will not penetrate, contaminate, or leave residue. Blends the surface to a uniform finish. No painting required. Hard wearing. No accidental fold over of metal which is possible with heavy mechanical polishing on the weld etc, causing possible micro-biological organisms to manifest under the fold. This of course if very important to the food industry. Clean, finish, de-burr all at once. Can also improve corrosive resistance. Excellent results for removal or certain molds & bacteria which is very important in the grain, pet food and food processing industries. Meets & exceeds food, chemical and pharmaceutical stainless steel requirements (except dairy). 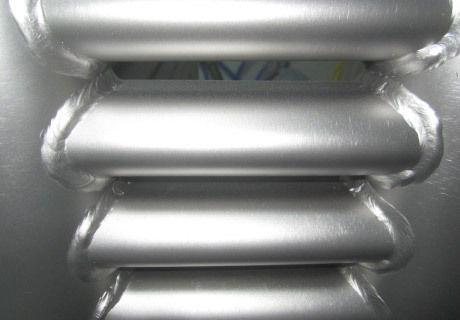 A bead blasted surface also tends to be hardened through compaction, especially in the case of metals which gives increased fatigue resistance and better resistance to future scratches or other deformations. Leaves an attractive and natural looking satin finish. Saves money and boosts production time compared to metal polishing or other treatments. ASK US ABOUT OUR ALUMINIUM BEAD BLASTING SERVICES! 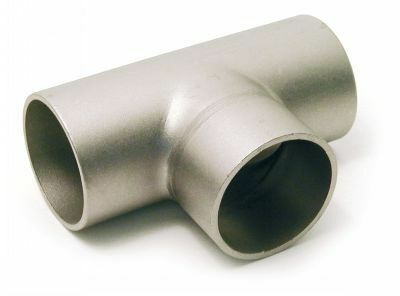 stainless steel products on most surface finishes. Talk to us about your needs - we can assist with Artwork proofs through to actually putting it on your job or component. ASK US ABOUT OUT OUR STAINLESS STEEL ETCHING SERVICES!